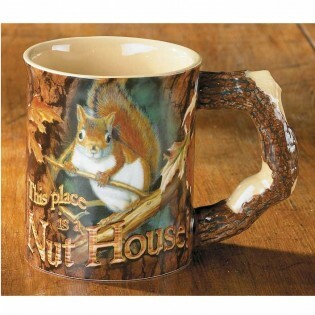 Nut House-Squirrel Mug. With an image created by Mia Lane you can savor a warm cup of cocoa or an Irish coffee in a 16oz. mug that expresses your sense of humor and raises your spirits. The raised, nature-theme image and sculpted handle makes this stoneware mug a cherished collectible. 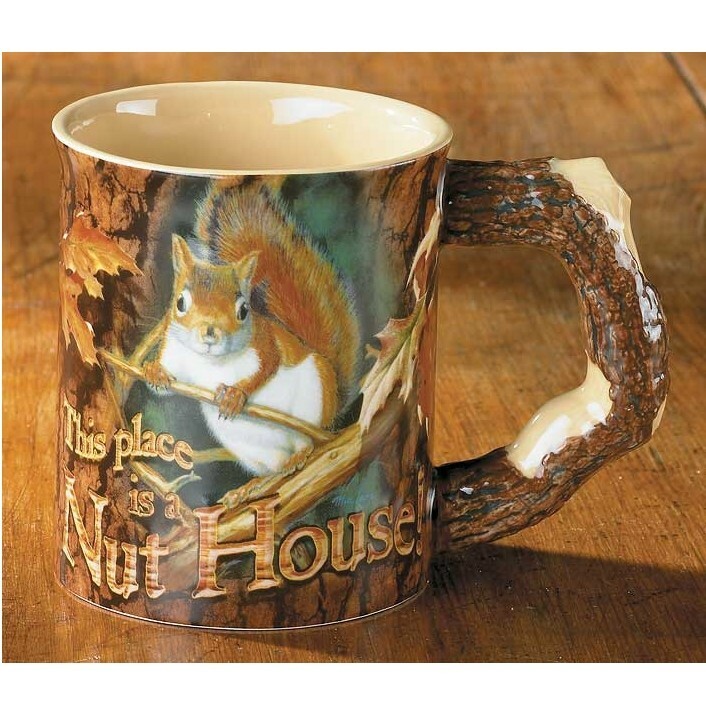 So add a few of these rustic wildlife mugs to your kitchen cupboard. Microwave and dishwasher safe each mug holds 16 oz. and measures 4.5" high.